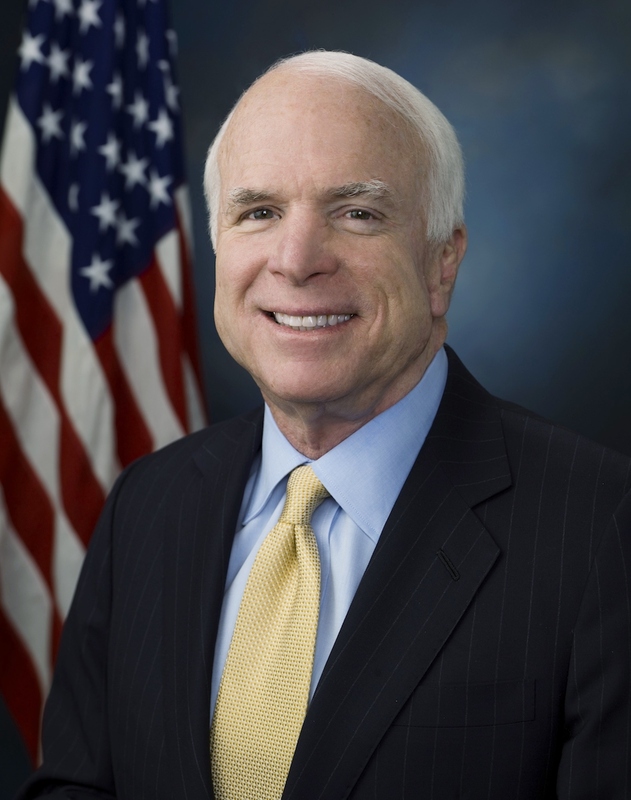 Although this is a numismatic blog, it is difficult to write about any aspect of Congress without recognizing the service of Senator John Sidney McCain, III. McCain died on August 25, 2018, from complications with glioblastoma, an aggressive form of brain cancer. He was buried on Sunday, September 2, 2018, next to his friend and mentor in the cemetery at the U.S. Naval Academy in Annapolis, Maryland. McCain’s story of his stay at the infamous Hanoi Hilton has been long discussed and written about in the books he authored. He served as legislative liaison for the Pentagon to Congress before being elected to the House of Representatives from Arizona’s First District in 1982. After two terms in Congress, he ran for the seat that was being vacated by the retiring Barry Goldwater. McCain would go on to win five elections to the Senate before his passing. John McCain was a true American Hero. What made him a bigger hero was that he was imperfect and stood up when he was wrong and took ownership of his mistakes. Something the colleagues he leaves behind in Congress should learn from. A Combat “V” device is an award for Valor. These are given to those who earned the award for their service during battle. Stars are awarded when a medal is awarded more than once. The Strike/Flight numeral “2” device is awarded to service members whose award was earned during aerial combat. As for the legislative update, August in Washington, D.C. is very hot and humid. Those of us who live in the area dread this month. Aside from the weather, it is the slowest month for everything. On the plus side, it is the month where we see less severe traffic as residents flee the area for their last summer fling. All that ends at the end of the month when it becomes time to get ready for the school year. Congress usually takes off in August. If they are not campaigning for reelection, they are spending time at home. This year was different. There were a few floor sessions but the committees seemed to have a few hearings. While it is normal for committees to meet when there are no floor sessions, it is unusual for it to happen in August. Other than having all members of Congress in town for John McCain’s funeral, there was no numismatic legislation to report for this month. With mid-term elections predicted to be contentious, it will be interesting to see if Congress will tackle anything that is not necessary between now and Election Day.